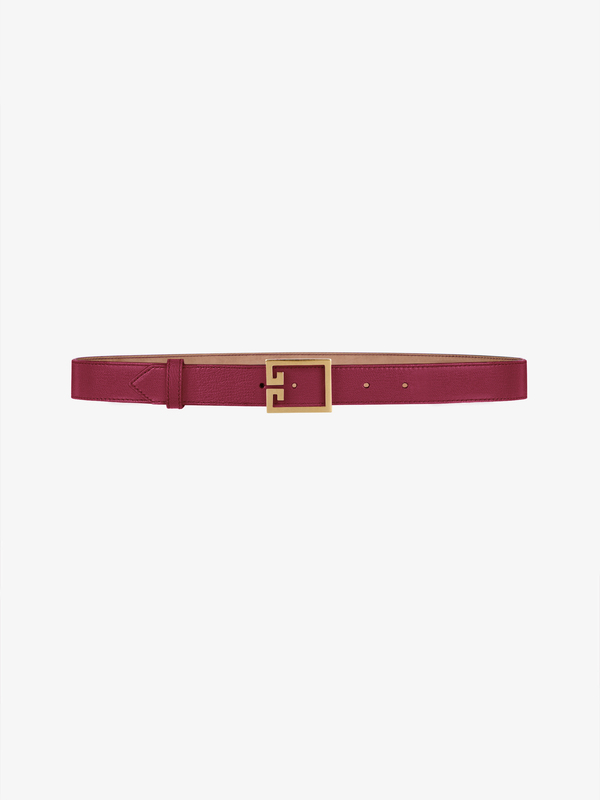 Belt in orchid purple flat grain leather with antique gold-finish metal Double G buckle. Width: 1.2 in. Can be paired with the mini Pocket bag.